Recognized by Consumer Reports as one of the leading and innovative vinyl products in the industry, Simonton Reflection Series windows will transform your home from the inside, out. Shop our Simonton vinyl replacement window styles, grid style, and color options or call us for an in-home consultation. Simonton began making their first products in 1946 when gas was only 15 cents a gallon, the electric dryer was first sold and Dean Martin was just starting his career. Since then a lot has changed, including our products, but our standards for quality haven’t budged. Throughout the years, Simonton® has developed and perfected innovative, energy-efficient solutions that our customers have come to trust. Today, our legacy of customer loyalty and satisfaction is second to none. Our Reflections® 5500 premium vinyl replacement windows and doors provide a wide variety of options to ensure that you can find the perfect custom styling solution for your home. With vinyl industry-leading energy efficiency, weather resistance and quality, they provide unsurpassed reliability over the long haul. And to top it off, each Reflections 5500 window is custom built specifically for your home, delivered quickly and backed by our Double-Lifetime Limited Warranty. 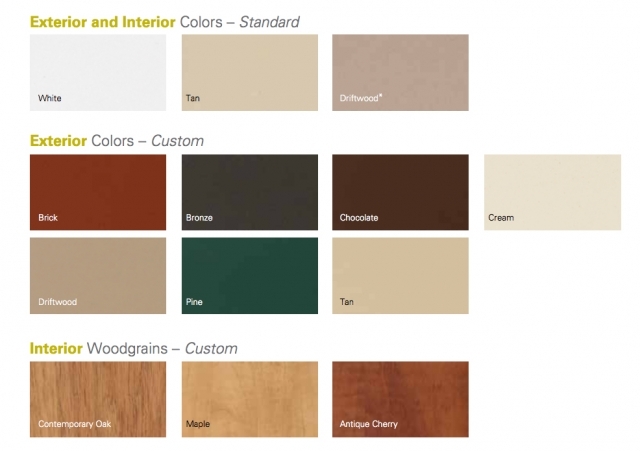 Custom Style with Decorum® exterior colors, interior woodgrain, and distinctive hardware finish options. Complete Line of window styles, including a Patio Door and Garden Door. Advanced Glass Options help provide maximum efficiency, increased sound dampening and security. 3/4" insulating glass unit set deep into the sash reduces temperature transfer and condensation.